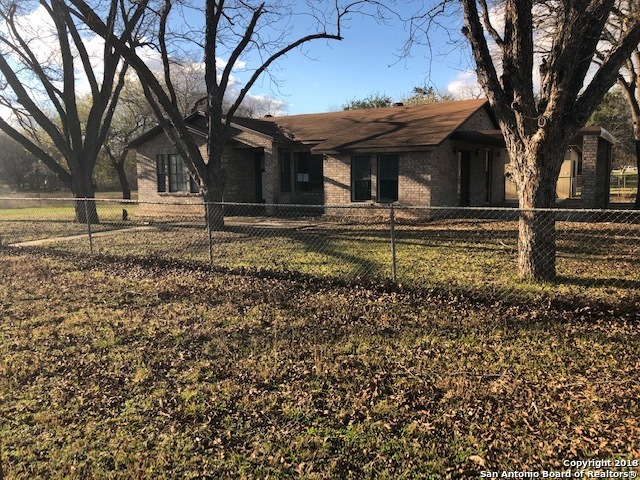 All Moore homes currently listed for sale in Moore as of 04/22/2019 are shown below. You can change the search criteria at any time by pressing the 'Change Search' button below. If you have any questions or you would like more information about any Moore homes for sale or other Moore real estate, please contact us and one of our knowledgeable Moore REALTORS® would be pleased to assist you. "OPEN HOUSE BY APPOINTMENT ONLY. 1 Day Prior Notice Requested. Saturday and Sunday Showings Only. Please call one day in advance. Farm and Ranch paradise. 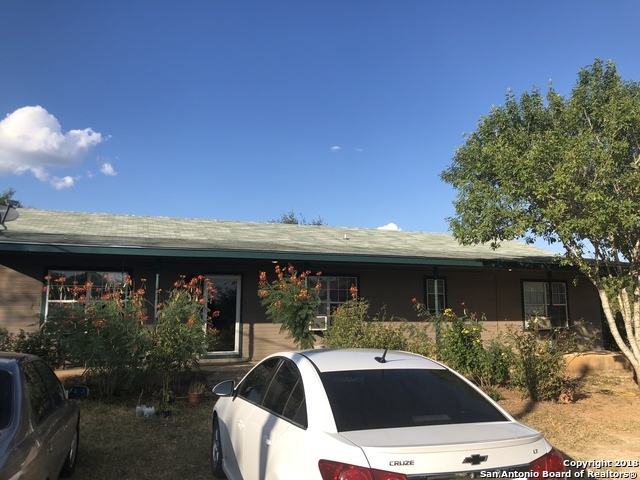 Beautiful almost new 3 bedroom, 2 full baths, 1493 sq ft, with tons of upgrades and numerous animal pens is located in the gated four x ranch subdivision. Sit and enjoy South Texas serenity on 13.5 acres. Property fully fenced and gated!" "Looking for the perfect escape from the bright lights, this place is for you. 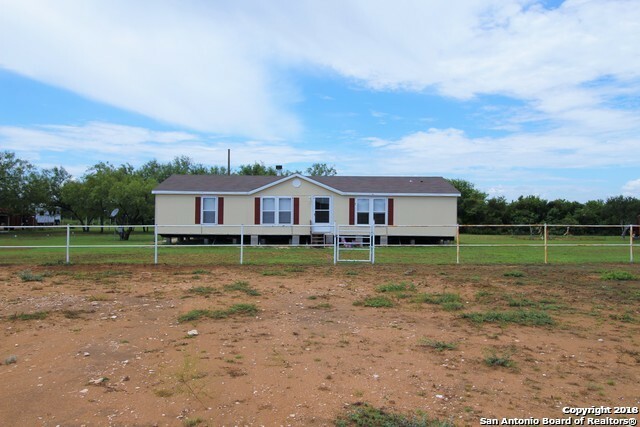 This newer manufactured home is located in the middle of a completely fenced 1 acre lot. Come enjoy the country life at Patton Ranch." "LOOKING FOR COUNTY LIVING AND SPACIOUS BEDROOMS TAKE A LOOK AT THIS HOUSE. THIS BEAUTIFUL 3 BEDROOM 2 BATH HOUSE CONSISTS OF ALL BEDROOMS ARE 16X15 LARGE OPEN LAYOUT. ANOTHER 3 BEDROOM 1 BATH HOUSE THAT IS INCOMPLETE AND 1046 SQ FT CAN CONVEY MAKE AN OFFER FOR BOTH. THE PRICE IS FOR THE MAIN HOUSE ONLY, IF YOU WANT THE MAIN HOUSE AND LAND THIS HOUSE WILL BE REMOVED BEFORE CLOSING." "Interstate frontage! Prime location for business opportunity and/or a home to be constructed. Mature oaks scattered through out. Lots of potential to make it your own." "JUST OFF OF IH 35 IN MOORE TX. GREAT CORNER LOT AND LOTS OF OPEN SPACE. HOUSE HAS A SMALL STORAGE BUILDING. LOT IS FENCED ON ALL FOUR SIDES. THIS PROPERTY HAS LOTS OF POTENTIAL AND ROOM TO ENJOY VERY QUITE AREA."